A Concord woman is fuming after learning that her pet dog was mauled at a local kennel last weekend while she vacationed with family in Lake Tahoe. Elizabeth Iannaconne said her dog Shadow suffered 18 puncture wounds and severe lacerations on his head after a violent mauling by another dog at Northgate Kennels and Cattery in Walnut Creek. “He was laying there shaking and crying in a room by himself, just shaking and crying when we came to pick him up," Iannaconne said. Earlier this week, Iannaconne took to Facebook to warn others about what happened to her dog, saying the kennel staff was not cooperative when she tried to find out how Shadow's injuries occurred. "They haven’t told me where it happened, how it happened," she said. "When we went to pick him up, we asked to see the kennel, and they refused to let me see it." Iannaconne said she dropped off Shadow at the kennel at 1240 Northgate Road on Thursday. On Sunday, a kennel employee called and told her Shadow had been in a fight with another dog on Saturday. The employee told Iannaconne her dog was taken to the veterinarian and was fine. When Iannaconne returned to pick up Shadow on Tuesday, she quickly realized shadow’s injuries were more serious than she was led to believe. That's when she confronted the kennel staff and not only received no cooperation but was also treated rudely, she said. Iannaconne also found out from the vet Shadow's injuries occurred on Friday, not Saturday, and the dog was in surgery for hours that day, she said. 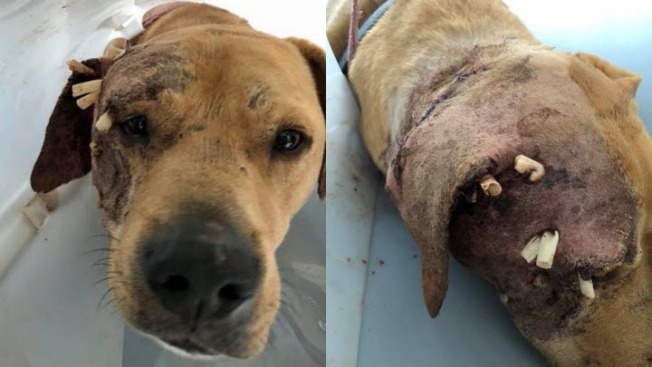 Iannaconne called Contra Costa County Animal Services, but officials there said they couldn't take a report without information about the other dog. They also told her there were no complaints about the kennel on record. Iannaconne also called Walnut Creek police, but they were unable to proceed because it didn't involve a person injured. Iannaconne felt her only solace was to tell others of her horrifying experience. "I just wanted to get the word out. I didn’t know what else to do," she said. "I did not want anyone else to go through this."